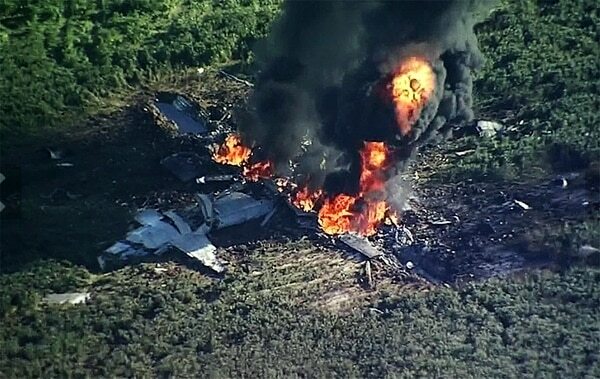 Nearly a year after the fiery crash of a Marine Corps Forces Reserve KC-130T killed 15 Marines and a Navy corpsman, most of the Navy’s C-130 fleet remains grounded due to lack of new propellers, impacting one of the service’s sole capabilities for transporting people and gear, according to U.S. lawmakers and service officials. A propeller problem was identified during inspections of the fleet that occurred after the July 10 crash in Mississippi, when most Navy and Marine Corps C-130Ts and KC-130Ts stopped flying. Only 10 of the 43 C-130s in the fleet are currently available for operations, according to Greg Kuntz, a spokesman for Naval Air Systems Command, or NAVAIR. As those aircraft sat grounded and Naval Reserve’s lift capability diminished as a result, the sea service initially opted to place new propeller funding on an unfunded priorities list. That was rectified in March, when the propellers were funded via a $1.3 trillion omnibus spending bill passed by Congress. Marine Corps spokeswoman Capt. Sarah Burns said the 12 remaining Marine Reserve KC-130Ts are no longer grounded, and that the squadron conducted its first flight in October, a few months after the crash. Kuntz declined to say why some C-130 variants can fly today while others are still grounded. Military investigators are trying to piece together the cause of a crash that killed 15 Marines and a sailor in Mississippi in July, but it could be a year or more until any information becomes public. 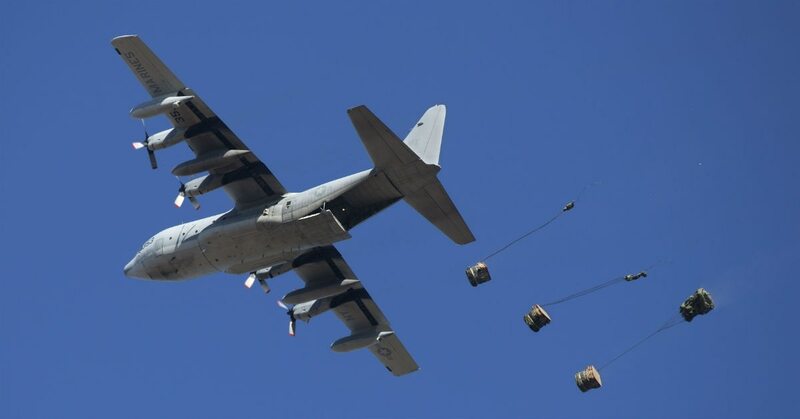 Following last summer’s crash, which pancaked the aircraft upside down and left it broken in two, scattering debris for miles, Kuntz said most Navy and Marine Corps C-130Ts and KC-130Ts stopped flying immediately. NAVAIR issued a grounding bulletin on Sept. 1, 2017, “as a precaution based on the preliminary engineering investigation,” he said. During inspections after the grounding, a propeller issue “was one of the things identified,” Kuntz said. Marine Corps officials declined to comment on the cause of last summer’s crash, citing the ongoing nature of the investigation. Fourth Marine Aircraft Wing commander Brig. Gen. Bradley James said after the crash that the mishap began while the plane was at cruising altitude. The Associated Press reported in August that some witnesses described the plane descending in a “flat spin,” where the plane twirls around like a boomerang. The wire service quoted a local named Andy Jones, who said he saw the plane corkscrewing downward with an engine smoking. Marine Aerial Refueler Transport Squadron 452 flew the legacy KC-130T on the day of the crash, an aircraft that is being phased out for the new KC-130J variant. “The current fleet of C-130s has a long history of safe operations supporting Navy and Marine objectives with the current propellers,” Kuntz said. As the C-130s sat grounded, the new propeller project was initially placed on the Navy’s unfunded priorities list, Kuntz said. That list lays out programs the Navy wishes to see bankrolled if more money was available from Congress. But the initiative was recently moved to the Fiscal 2018 budget and is now funded via the massive $1.3 trillion omnibus spending bill passed by Congress in March. Why the Navy did not initially prioritize funding the new propellers to get the C-130 fleet flying again remains unclear. Kuntz said “probably multiple reasons” factored into the new props not being a funding priority for the Navy. South Carolina Congressman Joe Wilson, the House Armed Services Readiness Subcommittee chair, questioned the head of Navy Reserve, Vice Adm. Luke McCollum in March about how the lack of propeller money and C-130 grounding was affecting Navy readiness. Navy Reserve “provides 100 percent of the inter-theater lift for the Navy,” McCollum told the subcommittee. The grounding of the C-130Ts had led to a 42 percent loss of that capability, McCollum said, adding that it was “highly important” that the C-130T propellers get upgraded. “The demand signal for Navy Reserve in this capacity is very high,” he said. The new propellers cost $2.7 million per kit and take a month to install. The Navy intends to replace propellers for all 43 aircraft in fleet, Kuntz said. The FBI is investigating the cause of Monday's crash in Mississippi. “The Navy has an aggressive schedule that could have the first aircraft with these new propellers returned to service in the fall and have the entire fleet back to service by Spring 2019,” Kuntz said. The new propellers will offer increased thrust at the same engine torque, he said. Navy and Marine Corps C-130T fleet age varies from 21 to 34 years, Kuntz said. “Propellers, like other parts of the aircraft, are routinely inspected and replaced (in accordance with) maintenance procedures when required,” he said.